16-Channel Constant Current Sink for LED Driver (PT6726) - Princeton Technology Corp.
control code, both set by users. 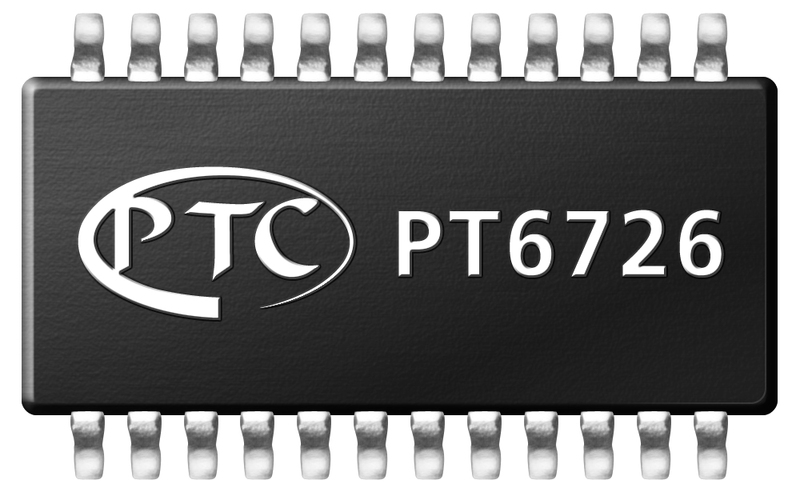 PT6726 can used to control LEDs intensity with output enables as PWM input function.PT6726 provides users with great flexibility and performance. Users may adjust the output current from 5mA to 90mA, which gives users flexibility in controlling the light intensity of LEDs. The PT6726 guarantees to endure maximum 17V at the output port.